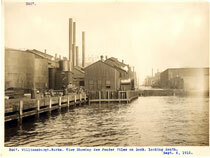 Gas used for cooking, lighting, heating and commercial purposes was manufactured at the Williamsburg Manufactured Gas Plant (MGP) from approximately 1887 through the late 1930’s or early 1940’s. Historical records, while incomplete, indicate that an independent company operated the plant before that company merged to form Brooklyn Union Gas in 1895. The plant used coal and petroleum products to create a flammable gas which was piped into the surrounding neighborhoods. After the property was sold by Brooklyn Union, it was subdivided and now has multiple private owners and uses, including commercial and warehouse operations and a former City of New York Department of Sanitation garage. National Grid is responsible for the investigation and remediation of the site because it was operated by a predecessor company (Brooklyn Union) at the time MGP-related contamination occurred. 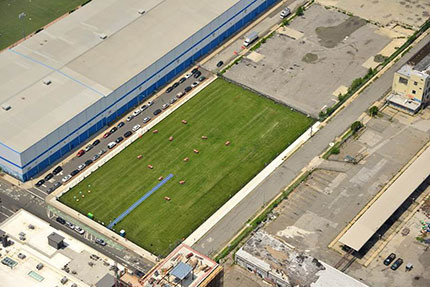 This website provides information on the Williamsburg former MGP Site, the Remedial Investigation of the site, and opportunities for public participation. National Grid is committed to the protection and enhancement of the environment, always seeking ways to minimize the environmental impacts of our past, present and future activities. We hope this website, a part of our public participation and outreach efforts, is helpful and informative. If you need additional information or have suggestions to make our website better, please contact the individuals listed under Contacts. Field work for the 50 Kent Avenue Interim Remedial Measure (IRM) has been completed. Recovery wells were installed along North 11th and North 12th Streets of the Site to recover non-aqueous Phase Liquid (NAPL).